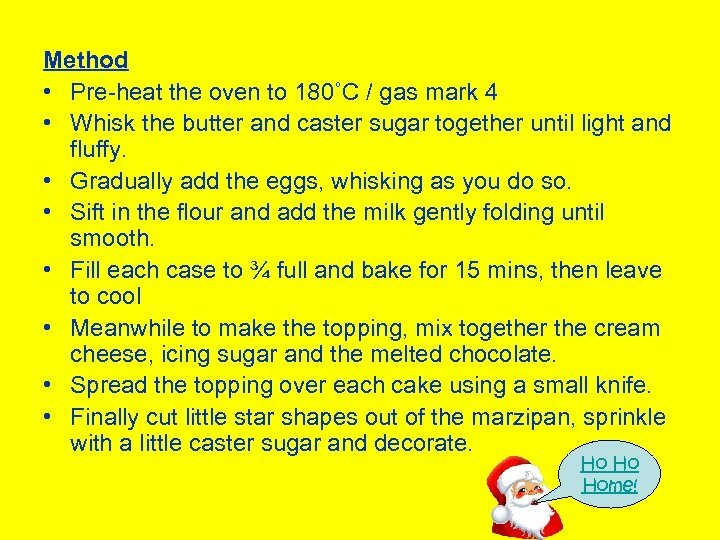 Method • Pre-heat the oven to 180˚C / gas mark 4 • Whisk the butter and caster sugar together until light and fluffy. • Gradually add the eggs, whisking as you do so. • Sift in the flour and add the milk gently folding until smooth. 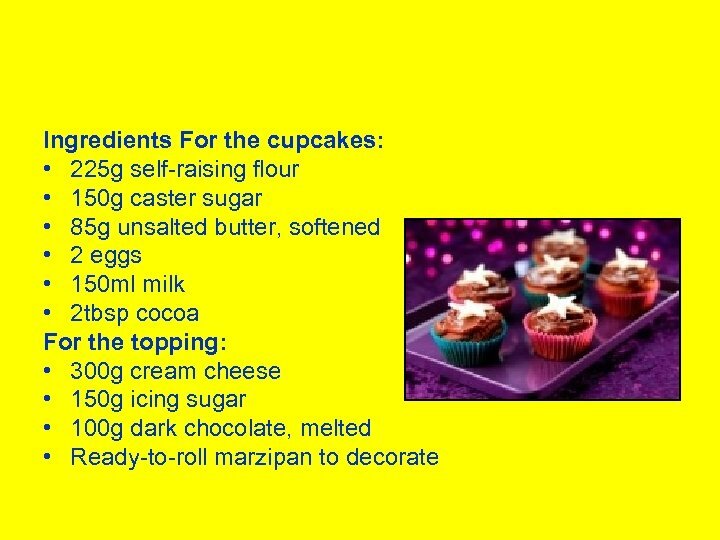 • Fill each case to ¾ full and bake for 15 mins, then leave to cool • Meanwhile to make the topping, mix together the cream cheese, icing sugar and the melted chocolate. 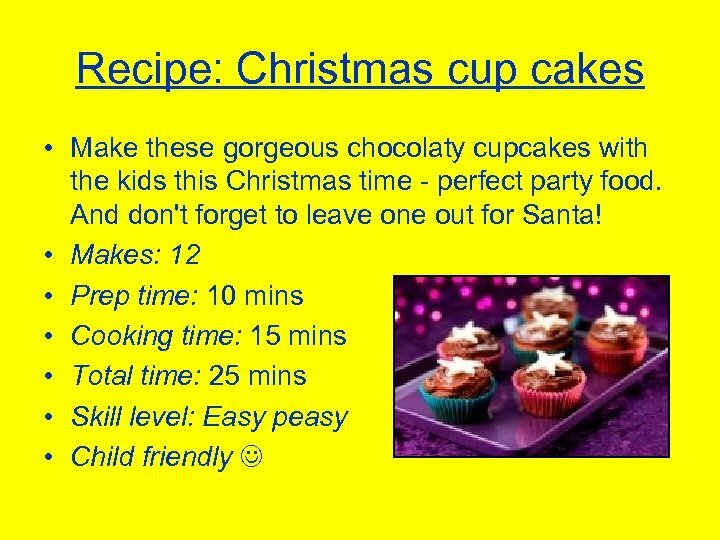 • Spread the topping over each cake using a small knife. • Finally cut little star shapes out of the marzipan, sprinkle with a little caster sugar and decorate. Ho Ho Home! 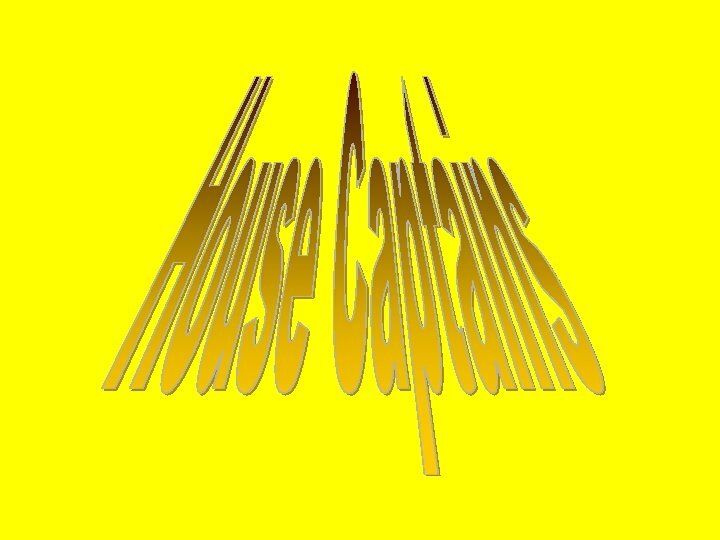 Elizabeth George O: Captain Anna C: Captain Ho Ho Home! 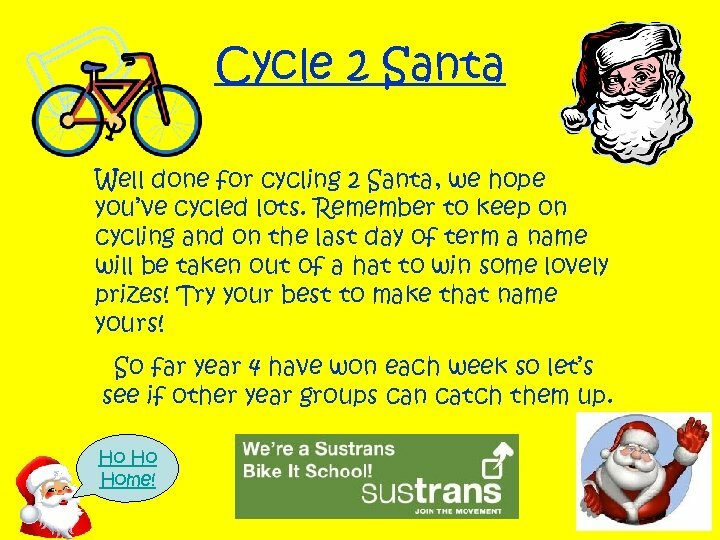 Cycle 2 Santa Well done for cycling 2 Santa, we hope you’ve cycled lots. 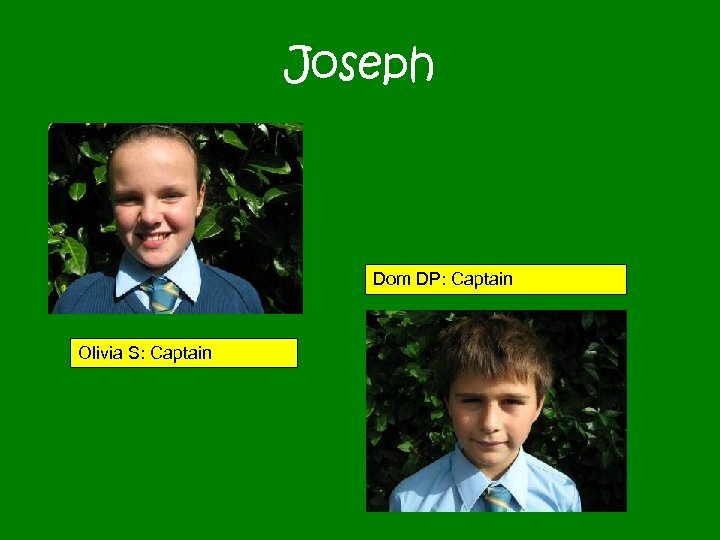 Remember to keep on cycling and on the last day of term a name will be taken out of a hat to win some lovely prizes! Try your best to make that name yours! So far year 4 have won each week so let’s see if other year groups can catch them up. Ho Ho Home! Remember, Remember the 11 th of November Remember, Remember. All the souls who died, and all the people that lied, just to go to war, and us it was for. 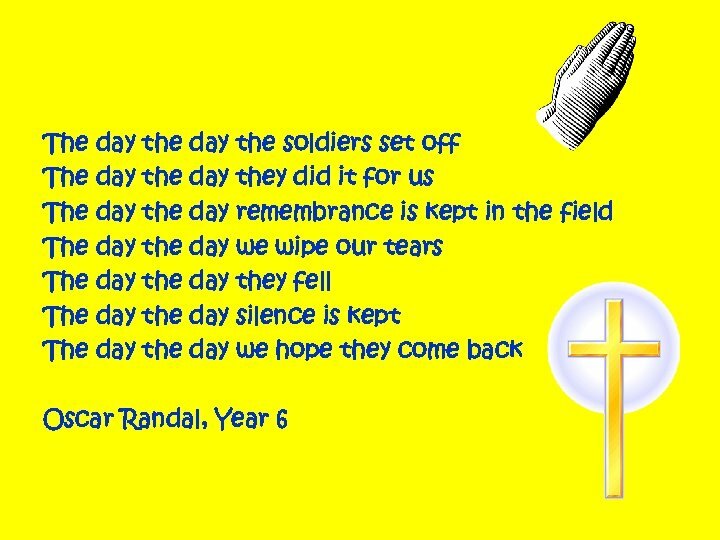 To fight for their country, England, where they battled hard on the land of Flanders field, where their lives where sealed. The sound of the gun, and the people who thought it would be fun, are dead now, their parents asking how. 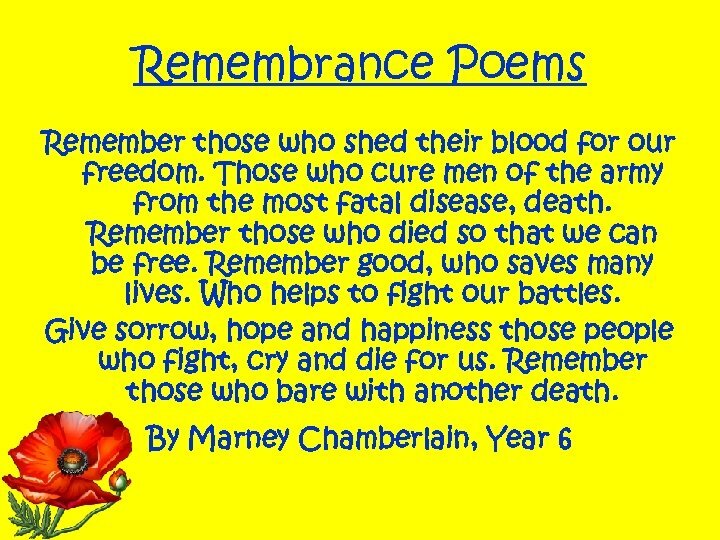 Remember, Remember. 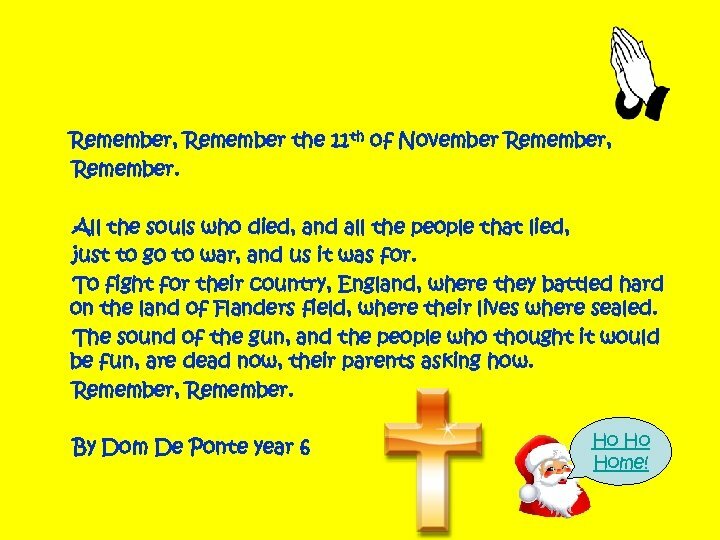 By Dom De Ponte year 6 Ho Ho Home! 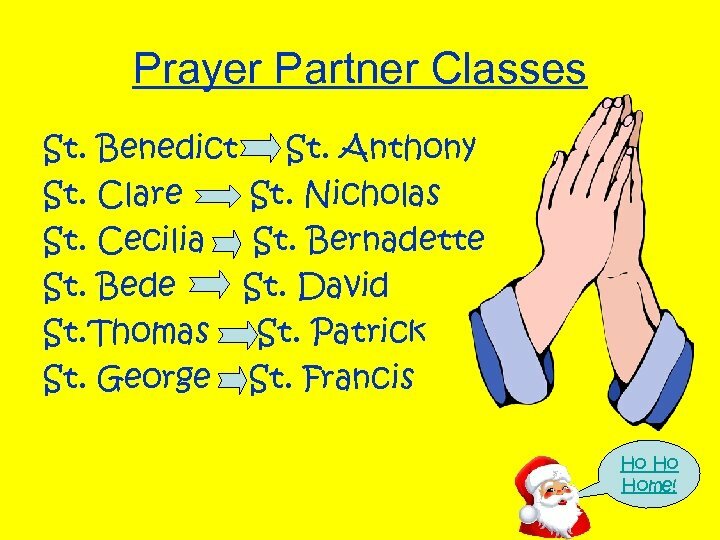 Prayer Partner Classes St. Benedict St. Anthony St. Clare St. Nicholas St. Cecilia St. Bernadette St. Bede St. David St. Thomas St. Patrick St. George St. Francis Ho Ho Home! Operation Christmas Child Thank you for kindly donating a shoebox to those less fortunate. 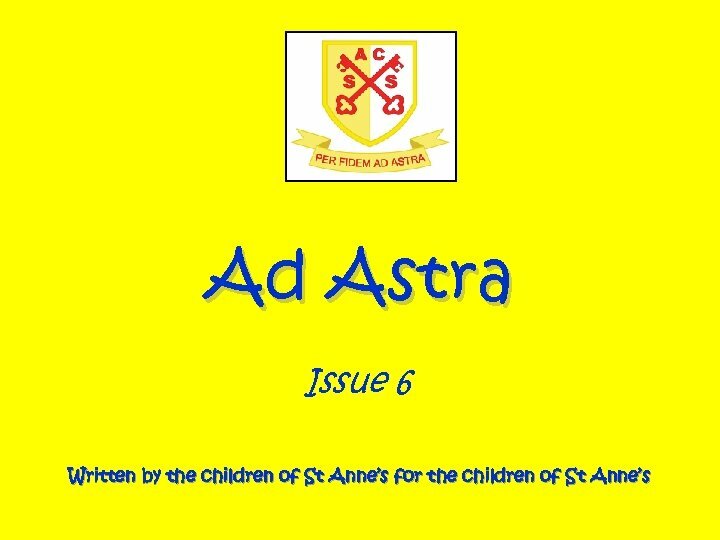 That small gift will make a child as happy as can be, so thank you everyone in St. Anne’s. We managed to bring in 136 shoe boxes, but next year we are aiming even higher. 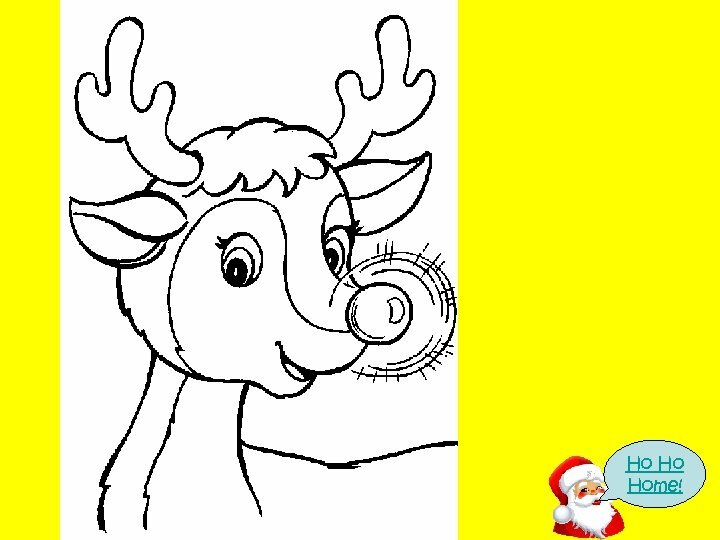 Click on the logo to visit the web site Ho Ho Home! 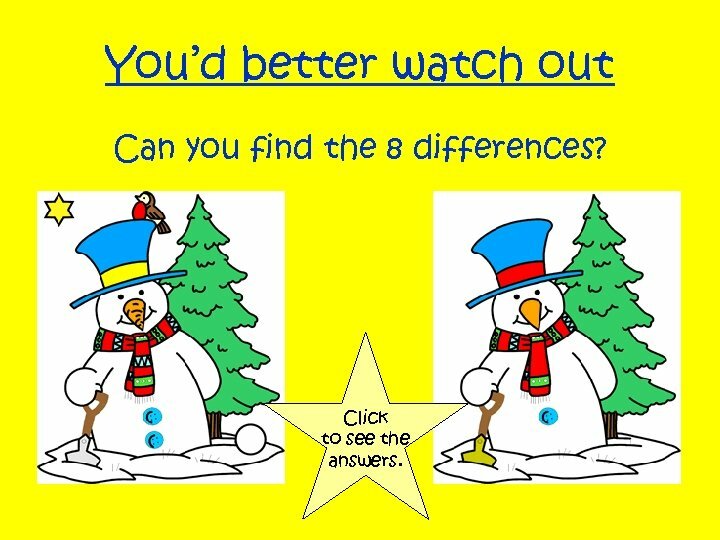 You’d better watch out Can you find the 8 differences? Click to see the answers. 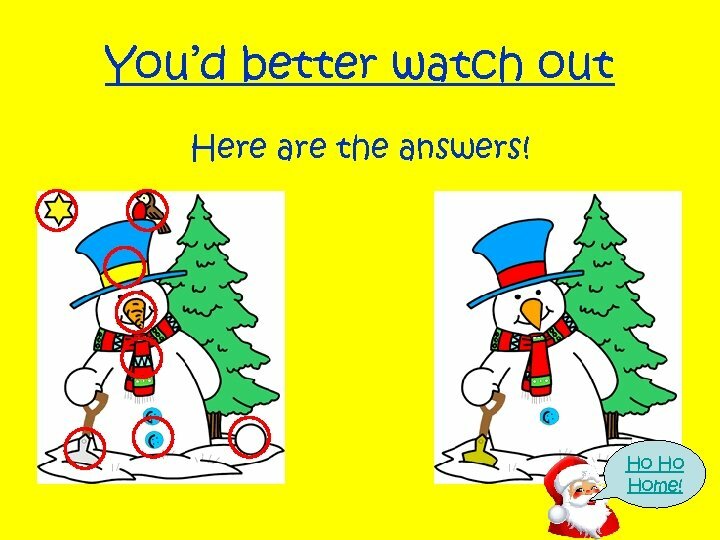 You’d better watch out Here are the answers! Ho Ho Home! Learning Journey Celebration Year 4 First we drew Tudor portraits with Mrs. Day I sketched Jane Seymour. We showed our parents our paintings. Next we performed our Tudor play, which we also showed to our parents. I played the Duke of Westminster’s servant and the Duke was beheaded because he stole the Queen’s necklace! Overall I felt nervous but happy. By Dylan Coyle Ho Ho Home! Christmas fair The Christmas fair was fantastic. I particularly enjoyed the ice skating. I went on twice as it was such great fun. The hall had lots of nice things to buy. I bought a ducky money box. All together it was excellent. 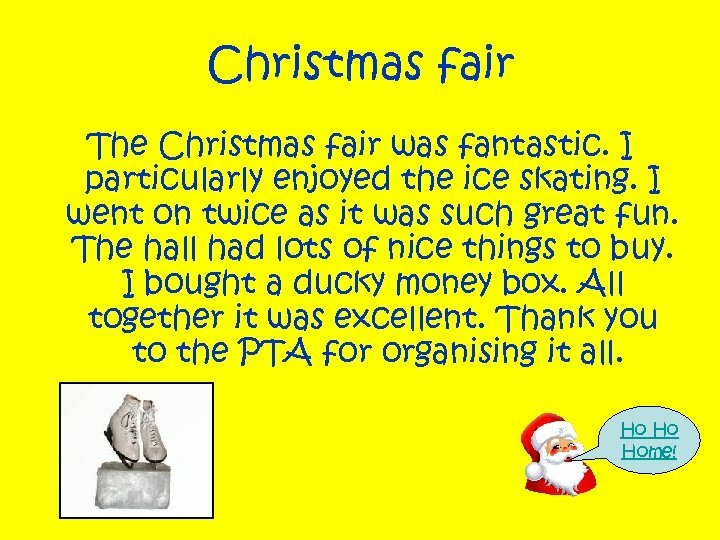 Thank you to the PTA for organising it all. Ho Ho Home! Advent Calendar Do you want a online advent calendar? 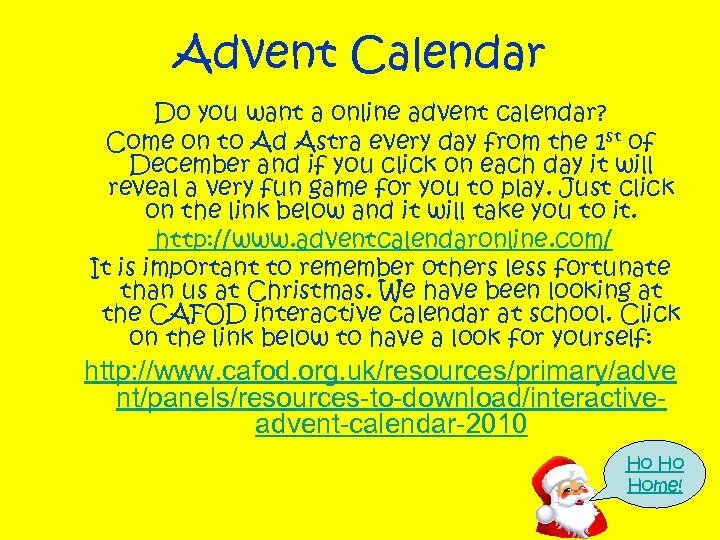 Come on to Ad Astra every day from the 1 st of December and if you click on each day it will reveal a very fun game for you to play. Just click on the link below and it will take you to it. http: //www. adventcalendaronline. com/ It is important to remember others less fortunate than us at Christmas. We have been looking at the CAFOD interactive calendar at school. 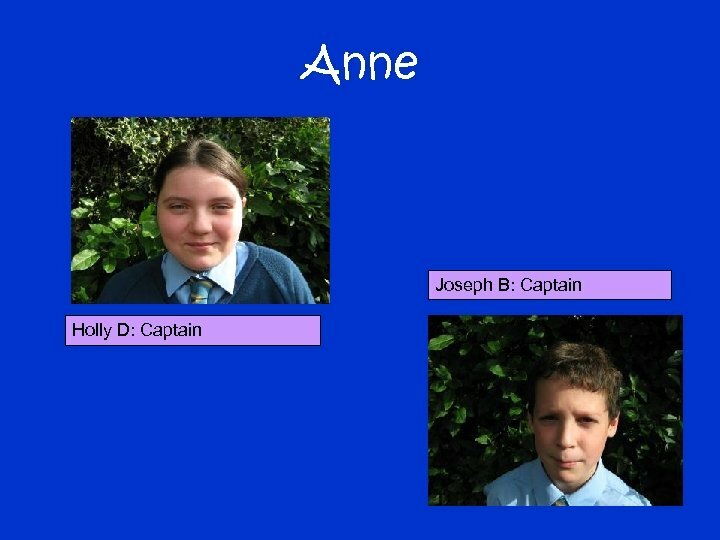 Click on the link below to have a look for yourself: http: //www. cafod. org. 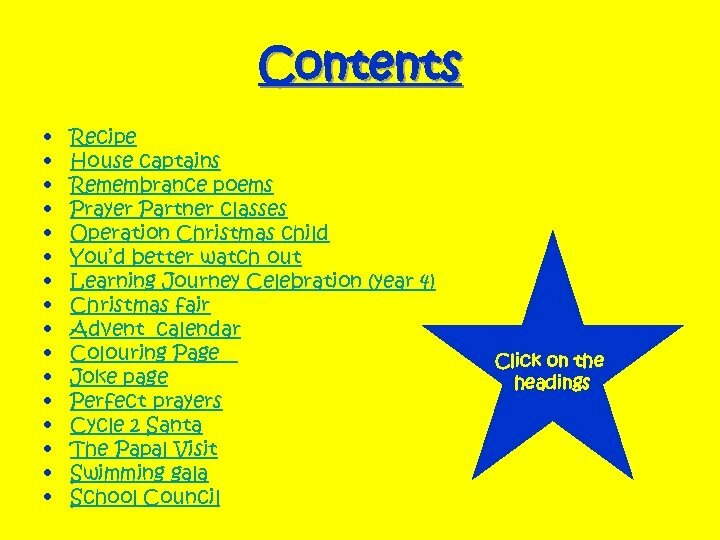 uk/resources/primary/adve nt/panels/resources-to-download/interactiveadvent-calendar-2010 Ho Ho Home! 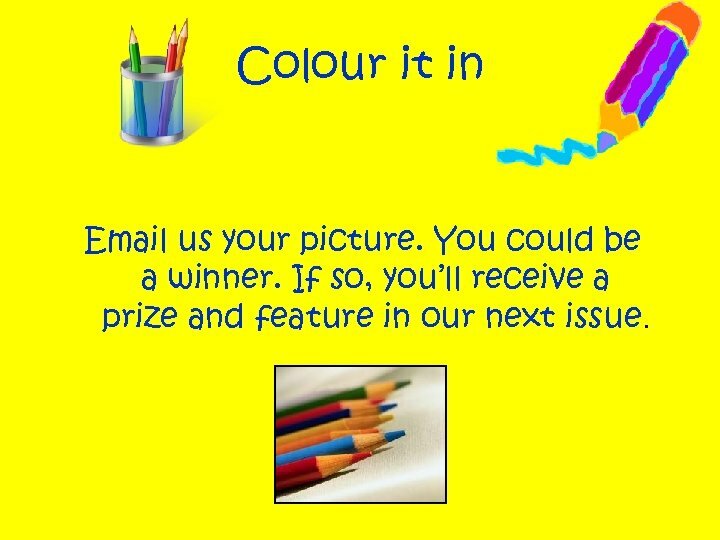 Colour it in Email us your picture. You could be a winner. 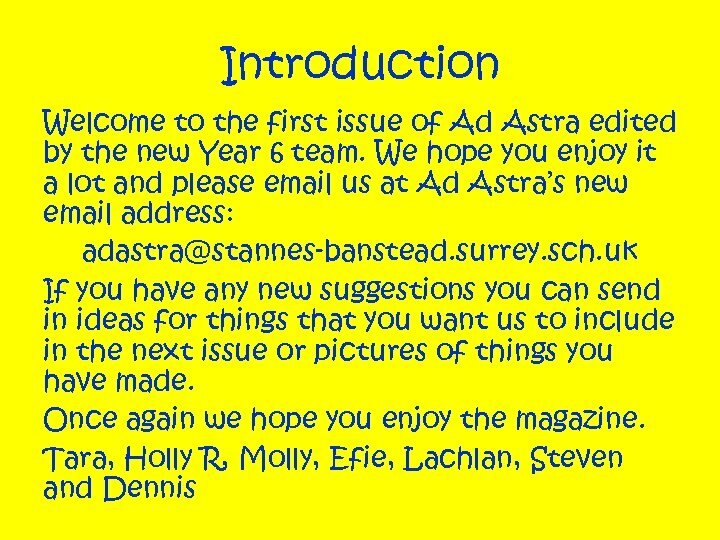 If so, you’ll receive a prize and feature in our next issue. 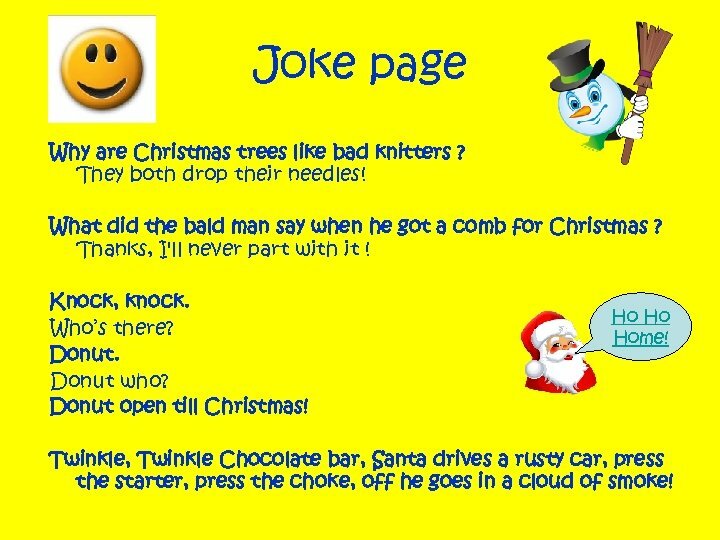 Joke page Why are Christmas trees like bad knitters ? They both drop their needles! What did the bald man say when he got a comb for Christmas ? Thanks, I'll never part with it ! Knock, knock. Who’s there? Donut who? Donut open till Christmas! Ho Ho Home! Twinkle, Twinkle Chocolate bar, Santa drives a rusty car, press the starter, press the choke, off he goes in a cloud of smoke! 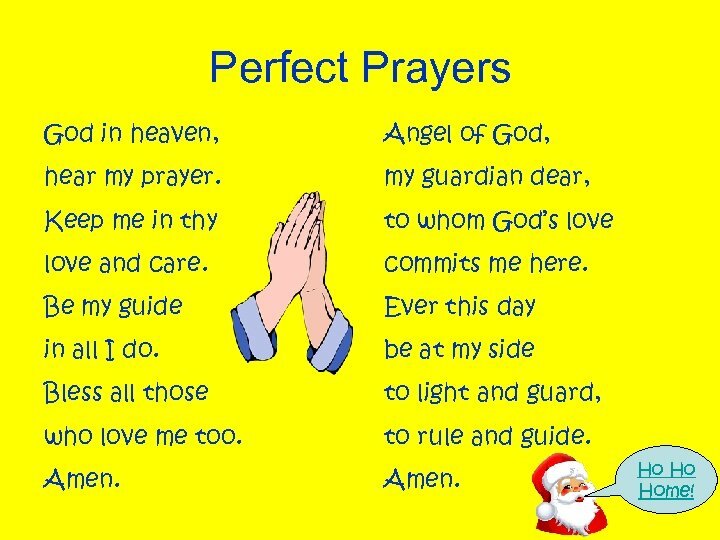 Perfect Prayers God in heaven, Angel of God, hear my prayer. my guardian dear, Keep me in thy to whom God’s love and care. commits me here. Be my guide Ever this day in all I do. be at my side Bless all those to light and guard, who love me too. to rule and guide. Amen. Ho Ho Home! Swimming Gala When the day finally came we were all extremely exited about it. The first race came and went so quickly and after all the individual races (which were very well played) came the relays. 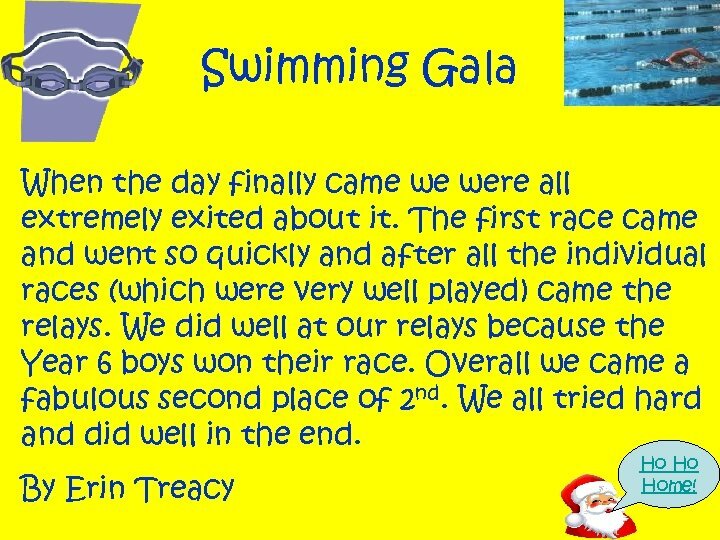 We did well at our relays because the Year 6 boys won their race. Overall we came a fabulous second place of 2 nd. We all tried hard and did well in the end. By Erin Treacy Ho Ho Home! 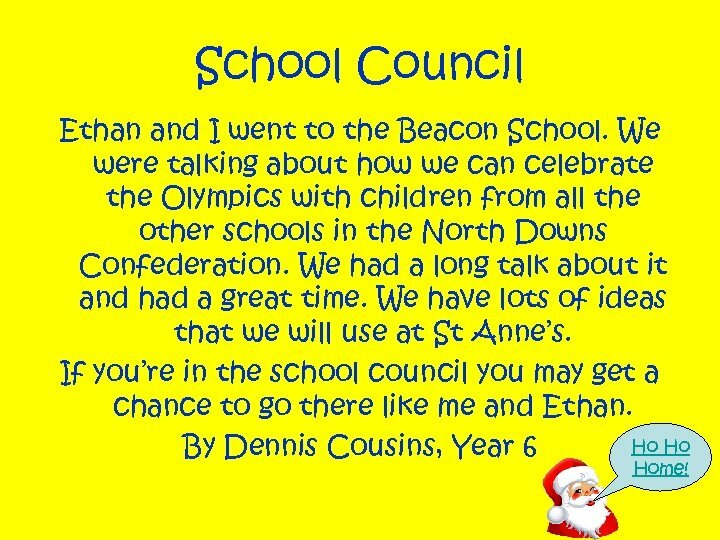 School Council Ethan and I went to the Beacon School. We were talking about how we can celebrate the Olympics with children from all the other schools in the North Downs Confederation. We had a long talk about it and had a great time. We have lots of ideas that we will use at St Anne’s. 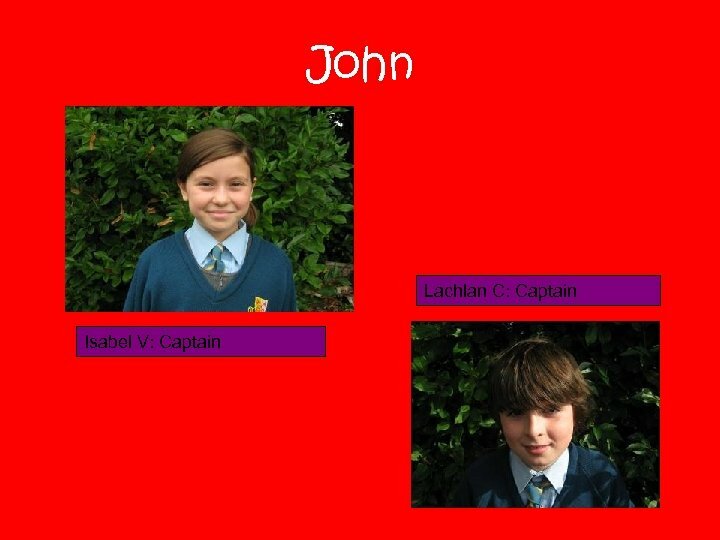 If you’re in the school council you may get a chance to go there like me and Ethan. 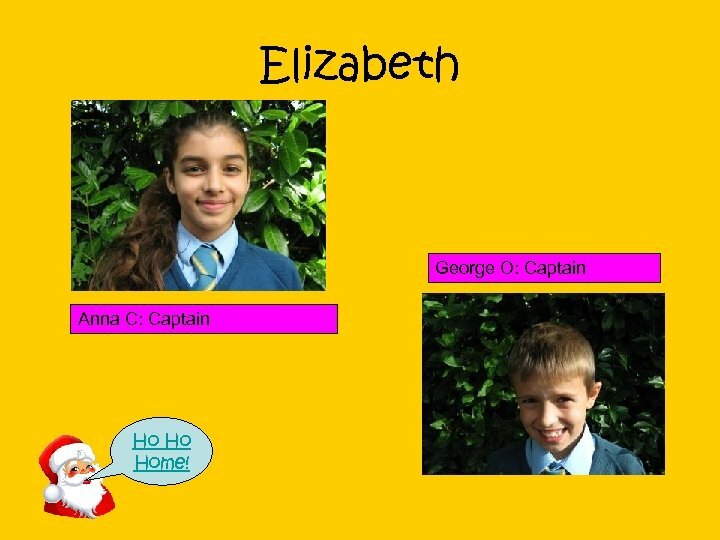 Ho Ho By Dennis Cousins, Year 6 Home!